Oftentimes, early American histories focus on primarily white and relatively wealthy men and the stories of women and minorities are kept in the shadows. However, there are so many rich and interesting tales to be found in those shadows, including the story of Sharlot Hall. In many ways, she can be considered the mother of Arizona History and, even more, the reason behind the borders and perhaps even the existence of our state today. Let’s learn more about Sharlot Hall, Arizona’s first historian. The northern half of what is now Arizona had been seized from Mexico in 1848 and the lower half purchased in 1884, and these newly acquired areas became part of the New Mexico Territory. In 1863, the Arizona Territory was formed and its borders were very similar to what we know today with the exception of a small slice of southern Nevada belonging to the new territory as well. However, this wouldn’t be the end of the story and parts of Arizona would be lost and others would become in danger, saved in large part by the efforts of Sharlot Hall. First, in 1866 a small portion of the Arizona Territory called Pah-Ute County was obtained by Nevada, the portion that was lost. Second, around the turn of the 20th century many early pioneers were passing away, there stories going with them, and much of the local Native American heritage was being lost as well. Third, in 1905 legislation was put forth that would bring the Arizona and New Mexico Territories into the United States, but as one single state. And fourth, by around 1911 during the actual formation of Arizona as a state, Utah made a great attempt at acquiring the entirety of the land north of the Grand Canyon. The latter three occurrences were endangering the land that was the Arizona Territory and were among the reasons that prompted Sharlot Hall to take her already existing talent and passion of writing and to focus it on the preservation of her state’s history and integrity. Love History? 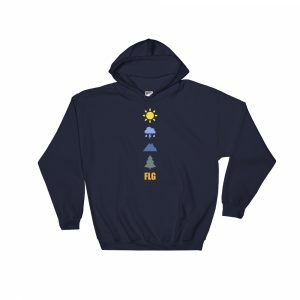 Take Our Flagstaff Beginnings City Tour! Sharlot Hall was primarily self-educated and partly public school-educated, growing up on a ranch outside of Prescott, AZ, and at an early age she found a talent for creative writing. Her first published work came at the tender age of 20 and she worked as a full-time writer for a number of publications into her early 30’s. This experience would lead into the important work she did in her 30’s and 40’s during the establishment of the State of Arizona. By the turn of the century, she began taking an interest in collecting historical items and stories from old timers and quickly decided to work towards establishing a museum. This interest set her on the path that in 1905 would lead to a decades long crusade towards preservation. The first major step on her crusade began with the congressional bill that would once again combine the Arizona and New Mexico Territories and bring them into the union as a single state. Many Arizonans, including Hall, were shocked and appalled by the idea and they knew that if the state were to maintain its unique identity then it would need to work to stop this from happening. In 1906, Hall began touring the territory to document it’s uniqueness and as a result she developed a 64-page article for “Out West Magazine” and wrote a poem named “Arizona”. Both of which helped bring the essence of Arizona to the lawmakers in Washington, many of which had never set foot in the territories, and likely played a major role in the bill’s defeat. An occurrence that delayed the designation of Arizona as a state, but also prevented it from becoming a permanent part of New Mexico. 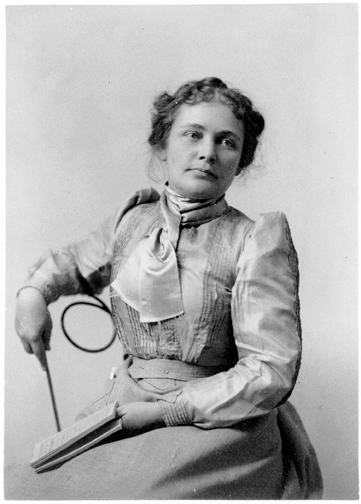 A couple years later, in 1909, Hall was appointed the official position of Territorial historian by Governor Richard Sloan and she would serve in this position until the formation of the State of Arizona in 1912. This was the first salaried position for a woman in the Arizona Territory. During her time in this position, Hall would encounter one additional fight for the future of her home. The big square piece of Arizona that sits north of the Grand Canyon and up to the border of southern Utah has long been known as the Arizona Strip. After the U.S. acquired this land, it was well-known and used by the Mormon church in Utah and even as the Arizona Territory grew, it was an oft forgotten landscape. Primarily, because it was quite difficult to cross the Colorado River and the Grand Canyon and so most of the interest of Arizonans was confined to the South Rim and into the canyon itself. In many respects, residents of the Southwest around the turn of the 20th century regarded the South Rim as a part of Arizona and the North Rim as a part of Utah, if not in land then certainly in culture. So, would not have come as a surprise that when the borders were being established for the State of Arizona that the ownership of this northern land came in question. During this time, Sharlot Hall took it upon herself to travel into this area and document it’s incredible beauty and usefulness. She felt a duty to bring awareness of the potential in opportunity of this forgotten strip of land to the residents of Arizona and save it from certain acquisition by Utah. In 1911, Hall embarked on a ten-week journey known as the longest wagon trip where she traveled across the remote and wild deserts of the Arizona Strip. Documenting her findings. Of course, we know that the end result of Hall’s efforts was the preservation of the Arizona Strip as a part of Arizona. 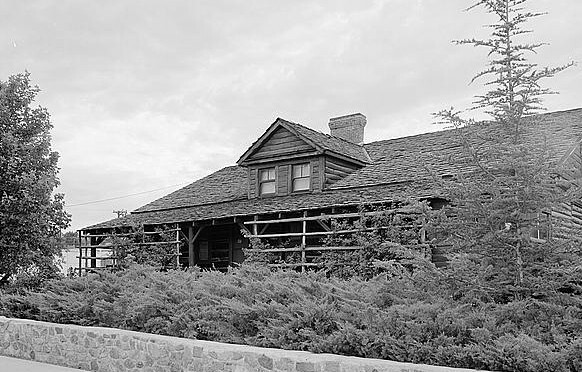 After the journey’s success, Hall returned to her family’s ranch outside of Prescott to care for her parents and the operations of the estate. She would return to the spotlight over a decade later. DID YOU KNOW: Interestingly, Hall’s Arizona Strip journey has a major connection to Flagstaff because her guide along the expedition was early Flagstaff pioneer Allen Doyle. Allen Doyle originally came to Flagstaff with his wife Sarah Doyle as a rancher, but he promptly earned a reputation as one of the best guides in the area. He built trails all over the area and he guided folks up the San Francisco Peaks, down the Grand Canyon and practically everywhere in between. He was also apparently an incredibly kind and generous man. As such, he guided famous names such as Zane Gray and he became a prototype for the Wild West man in the stories of many others of the time. Sharlot Hall was also friends with Flagstaff resident Matt Riordan, and hopefully in a future article we can explore her connections to Flagstaff further. After her tenure with her family affairs, Hall once again entered public service as an elector for President Coolidge and here the series of events occurred that led to the museum in Prescott that today bears her name. First, in 1925 she purchased the ‘Governor’s Mansion’ that had been the residence of the Territories first governors. She lived in the old cabin and began storing her large collection of artifacts and histories there. In 1928, she founded the Prescott Historical Society and opened her collection to the public as the Old Governor’s Mansion Museum. In the 1930’s, a new structure was built on the property called the Sharlot Hall Building. When Hall passed in 1943 the entire museum was dedicated to her memory and renamed the Sharlot Hall Museum and it operates today as an ode to her dedication to the preservation of Arizona history. The final chapter, so to speak, in Sharlot Hall’s story was her induction as one of the first women into the Arizona Women’s Hall of Fame. The legacy of Sharlot Hall and many other early Arizona women including Flagstaff’s Mary Russell Ferrell-Colton, has inspired me, as a resident of Arizona and a woman, to preserve the comprehensive history of our state. From the ancient geology to the indigenous cultures to the more modern pioneers and beyond. But not just from a perspective of spouting facts, but from an artistic and interpretive state as well. Much like petroglyphs and pictographs have been used by humans for tens of thousands of years, there is an art to history. Sharlot Hall used her poetry to express her version of history and Mary Russell-Ferrell Colton used her paintings. We use our tours, blog, YouTube channel, and other social media to much the same effect. A story is a story despite it’s medium. Thank you for your influence, Sharlot, Mary, and to all the past, present, and future women and men that use their powers of expression to explore and preserve our world.